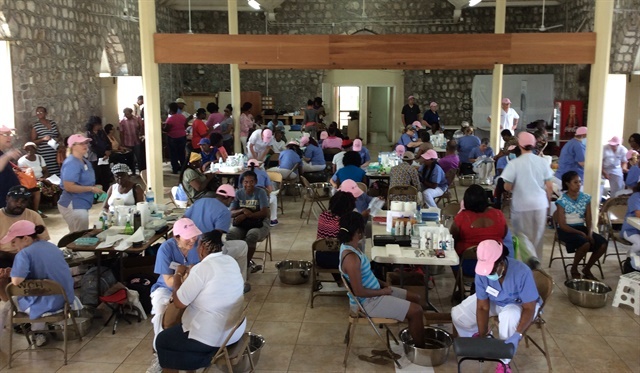 Last month, a team of 48 foot care specialists took their wealth of foot-care expertise to the people of St. Kitts and Nevis, who are diabetic and in need of leading-edge, professional foot-care. From January 30, 2016 to February 3, 2017, a team of 48 foot care specialists took their wealth of foot-care expertise to the people of St. Kitts and Nevis, who are diabetic and in need of leading-edge, professional foot-care. This special program was conducted under the leadership of Dr. Katharin von Gavel, founder of the North American School of Podology (NASP) and Vicki Malo, president of NASP. The NASP Graduating Class of 2017 offered care at the hands-on clinic to help Kittitians with skin and nail-related foot problems. “It takes a special group of people to donate time, services, and money for the health of feet. In the past 11 years since our first residency program on the island, we have experienced an exponential growth and a tremendous success of our program – which has literally improved the feet of hundreds of Kittitians – and keeps us coming back,” Dr. von Gavel said. 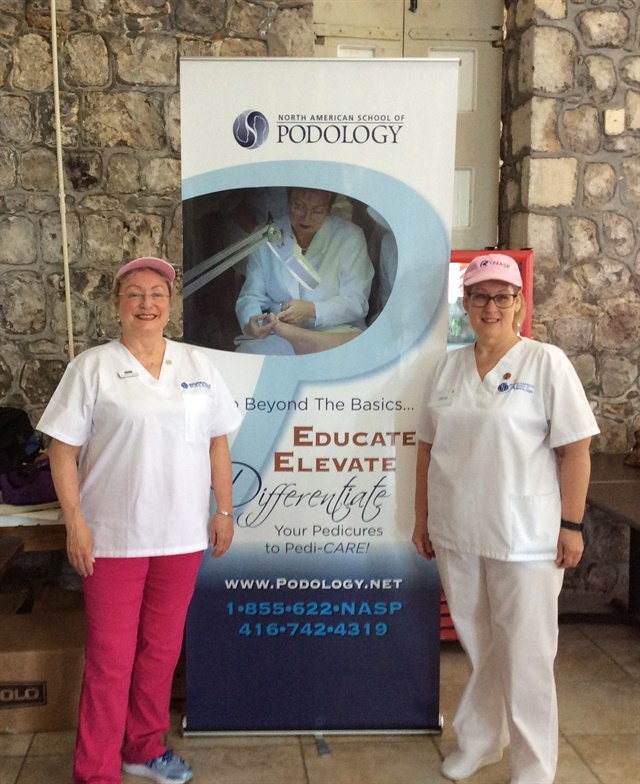 The North American School of Podology is aligned with the International University of Health Science to continue NASP’s initiative of helping Kittitians with their foot-care needs. All clinics were offered free of charge. Free footwear was also provided to over 400 locals thanks to the generous donations from National Shoe and several other educators and attendees who gathered gently-used shoes and sandals.